The angels often talk about their wishes for humanity. They want you to experience your true divine self. They know that you are not separate from anything, but are one with the entire universe. The angel’s highest wish is for you to realize that. 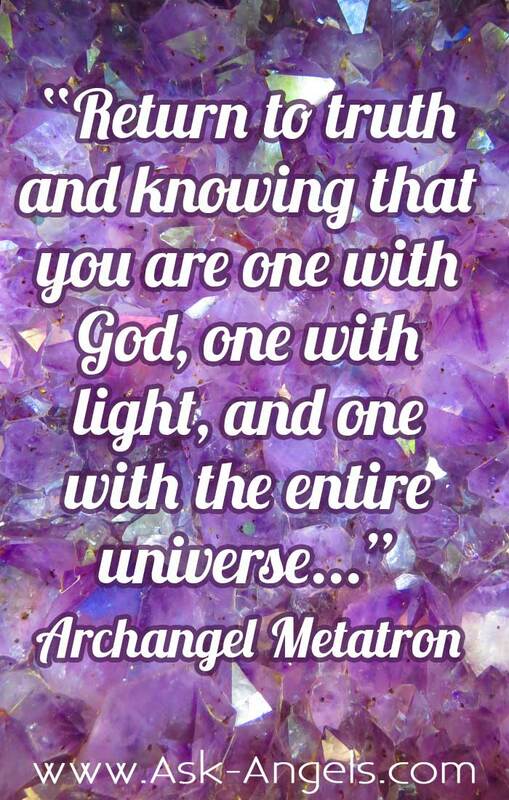 In this Ask the Angels Column, Archangel Metatron brings you an incredibly beautiful message, telling you exactly how you can experience your divine self through the simple practice of presence. Greetings from Metatron. I am here, and I bring the reminder, dear one, that you are ascending. You are changing in form. You are becoming more of your divine truth, more of divine presence, more of the divine light being you authentically are. This is what is happening to you. This is what is happening now in your world. This is the transition you are amidst. This is the trigger of challenge. The trigger of lower vibration rising to the surface – this is all happening, so you can continue to ascend further. And this is a powerful, beautiful, magnificent gift. And dear one, when the challenge appears, step back to observe. When dense emotion appears, feel it, and let it go. Return to presence in this moment, return to love. Return to truth and knowing that you are one with God, one with light, one with the entire universe. And the universe is conspiring with you, is on your side, is ushering in the new paradigm, the new earth, the higher possibilities for your life through you, in every moment. 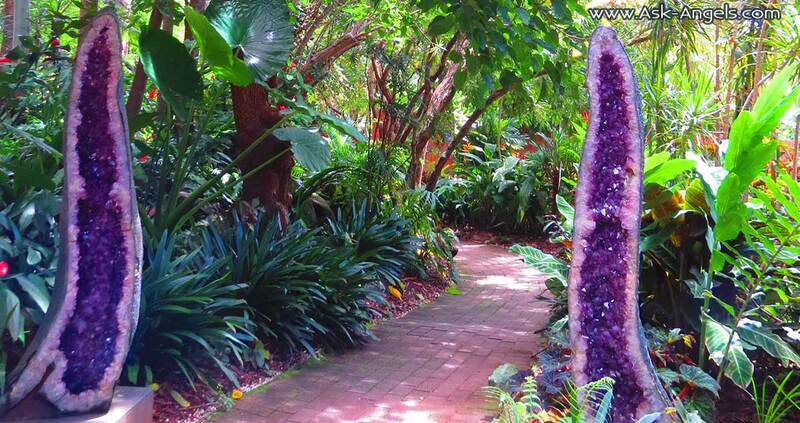 You are awakening to your true nature. And a part of this is revealing that which is not, is revealing to you illusion, is revealing to you areas of struggle, is revealing to you pain points, stuck energies, and things needing to change. By being present in the moment, you are able to observe this, and be aware – not getting pulled into the spiral of change, of challenge, of thought. But rather, observing, stepping back into love, stepping back into the vantage point of the divine, observing with non-judgment, impartiality with love, seeing that all that you experience is meant to be, is a step on your path of awakening, of ultimately becoming authentic, true, embodying the fullness of your divine light in the physical now. You are loved, supported, blessed, uplifted, each step of the way. Be present in this now – returning to your breath, returning your focus to your heart, to a waterfall of light in front of you, to the vibration of love, to the playful, blissful divine light of your inner divine being, of your inner divine self, that is pure light, that is pure divine presence, that is love, that is surrounded by layers of illusion, of density, of challenge. But by focusing within, you are able to see through, and move through these – returning to the playful inner state that is love, that is your highest vibration, that you are each day, each meditation, each moment, returning to more fully embodying, shining, radiating light, living in joy, accomplishing your purpose, serving, making a difference in the world around you. Through your personal, return to love. I am in search of a better job which will help me apply my knowledge and experience of over 28 years but is not successful. Requesting you to ask my guardian angels to guide me and assist me in the same. I am getting depressed day by day. I am a Reiki Practioner since February of this year and I have been doing self Reiki everyday since then except for a couple of times. My question is that I still suffer from fear and anxiety and I can feel sensations on my chest and throat due to so much stress I have been through since childhood but I have definitely gotten better. How can I ask my Archangel to help me with my situation? I am so overwhelmed with everything going on in my life. My ex died last month and I have to take care of everything that has to do with a house we owned together, even though we haven’t been together in years, but have been friends. I feel so scared, alone, angry, afraid and confused. I don’t know where my life is heading. I also don’t speak to most of my family. Also I’m with a guy that I love but not sure where that is headed either. I want the angels to guide me in the right direction. My question is, I have been suffering from Chronic Depression for over 30 years. I have been so depressed over the past 6 months that I am thinking of taking my own life. I don’t see any light in my life, just darkness all of the time. Can my angels help me to not give into these dark thoughts?